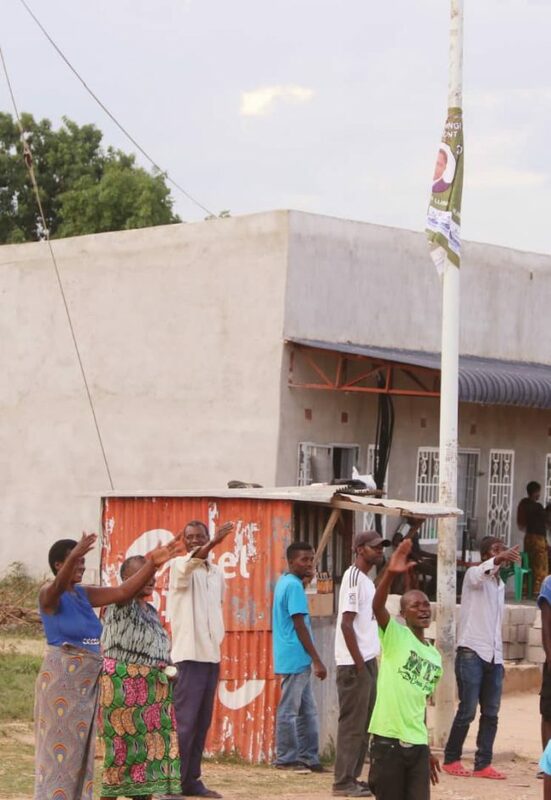 Mwebena Senama, Bahati constituency in Luapula province, twatotela sana for the thunderous welcome, attendance and support for our candidate Jerry Bwalya. We are one people and your coming to listen to us, your resolve to join and vote for our party is a signal enough that Zambia is getting back to its normalcy of being a united force. 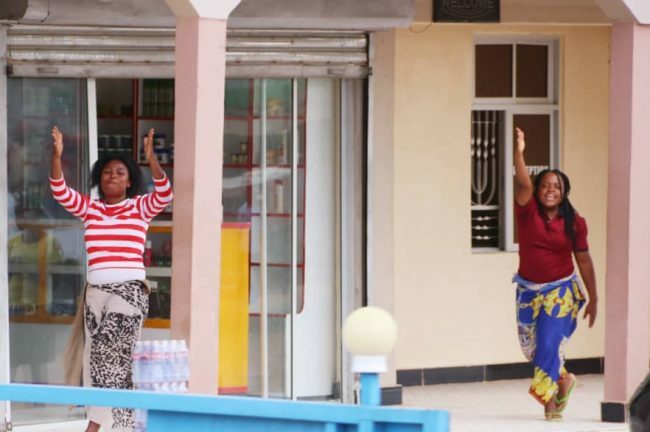 Abena Bahati want development and not usual lies. This is why say no hate speech, no violence and no lies but truth and love to the people from us as a party. 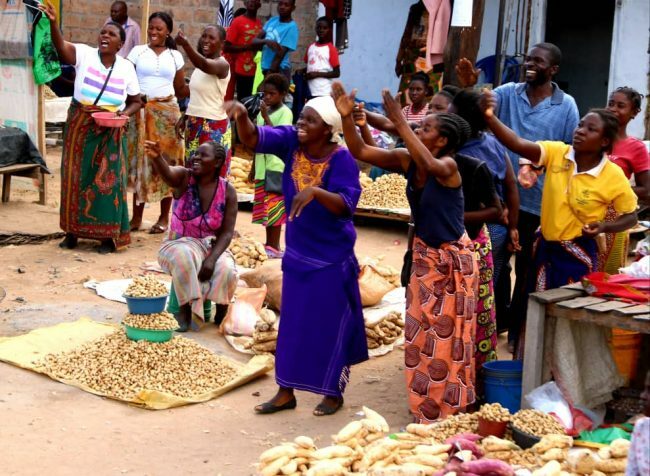 UPND is a party for everyone one hence our pillar is on economic development. A well managed economy is better for everyone as hunger and poverty does not choose. 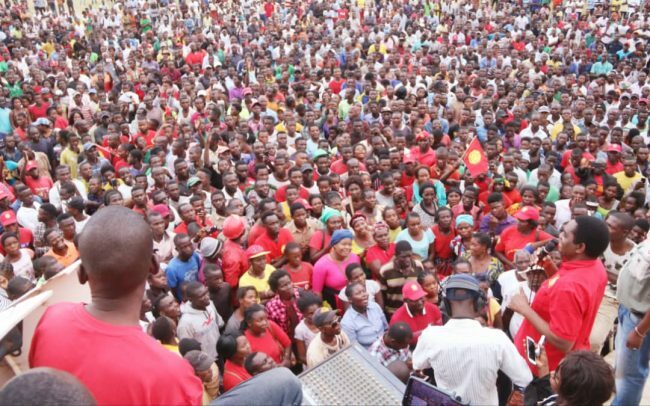 We are thankful that as UPND we have raised our people’s confidence in our policies going by the huge numbers we have been registering across the country, especially after 2015. 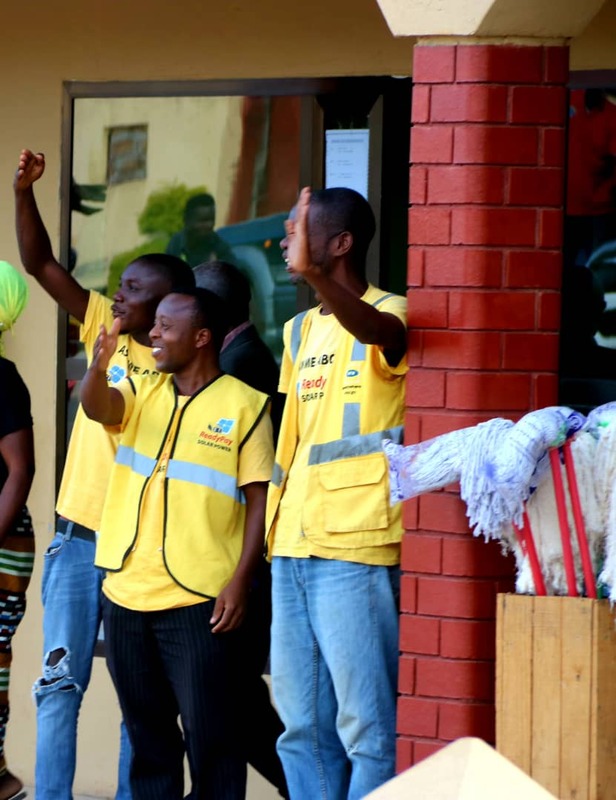 And clearly, our people in this area are this time around even more determined to give us more. 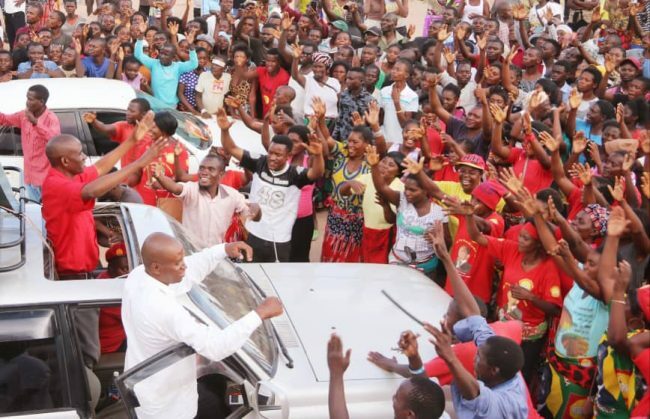 To the people of Luapula and Bahati constituency in particular, we say: together we shall reign and develop this province but in order to do this, let’s join hands in fighting the corrupt PF government and the first step is by voting for our parliamentary by-election candidate Jerry Bwalya on 11th April, 2019. 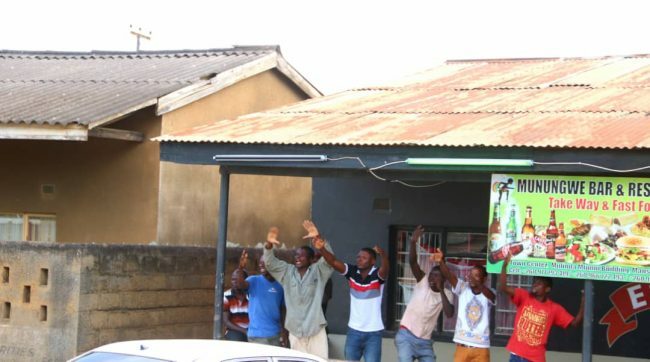 We are one Zambia, one Nation and one people as we have proved this through our intermarriage and church gatherings. This then means even in leadership we will always co-exist and choose credibility against divisive issues just like past leaders united to ensure that we got independence. As always, for us it is: Zambia and Zambians first. 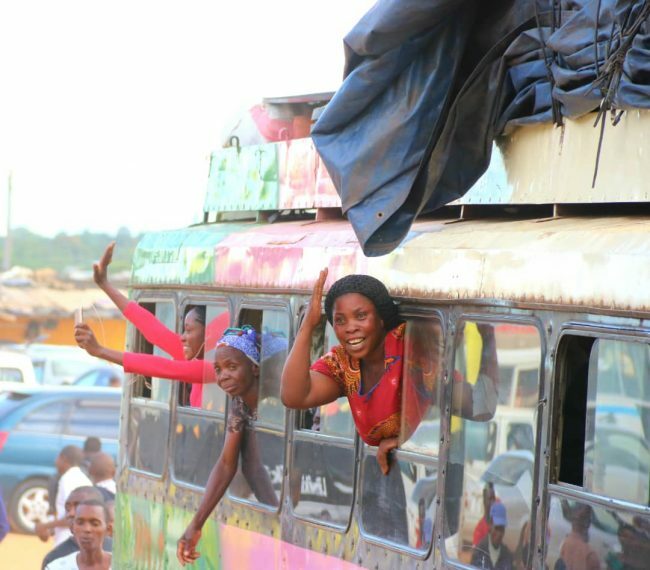 people have nothing to do,there is no employment,so they will attend those rallies as a source of entertainment,from HH rallies they will go to EL rallies as well.a good fraction of those will still do the same if EL would pass the same route. all in all HH has gained popularity country wide,Thanking to Rigging otherwise PF would have been called former ruling party by now. Iwe MTN, takuona kale. Wait. If PF wins all your towers will be painted greentel. Ask lapgreen, aziba mushe PF. Kaili ngawaflasha forward, it’s money not votes. Kikikiki. If only we can see what tribalism is, southerners should change and take the lead. But this cant happen in southern province. Bemaba are just good people. @Roda Mbewe alas “RODA HAMUSONDE” tables are only turned in your dreams!! !You always say people have changed but ELECTION RESULTS OR VICTORIES always go to PF especially in its strongholds.President Edgar Lungu is already in Luapula now.He will be there until monday.Just watch on ZNBC TV how MAMMOTH PF RALLIES WILL BE IN BAHATI.Yes,not all people in Luapula are PF members,the same as not all people in Southern are UPND members.However,the great majority in Luapula are pro PF just like the great majority in Southern are pro UPND.if you know local politics,then you know what i mean! 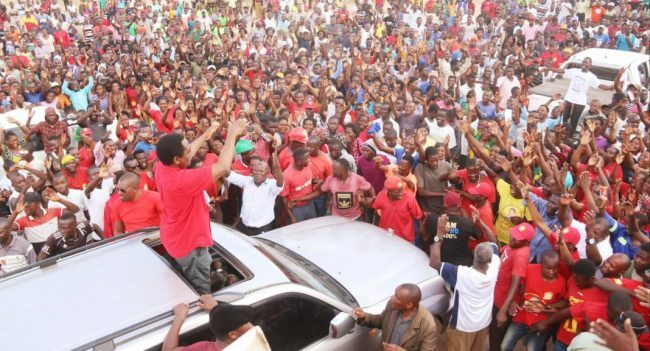 !Since 2015,HH has been attracting huge crowds across Zambia,but that does not mean all those people vote for him!Remember my words on Thursday next week just around 23hrs as by that time PF will already be leading or declared as winners in Roan and Bahati! !Indeed politics “teyabana iyo!!! This place looks like its emerging from war. Yet they still give votes to PF thugs. Ba Njimbu, you just want to make yourself feel good, my dear tables have turned. Who would think that HH, would be welcomed. Ichalo cha zambia mumana umuswilefye ingwena ready to be eaten in the name of PF. Full of corrupt evils. 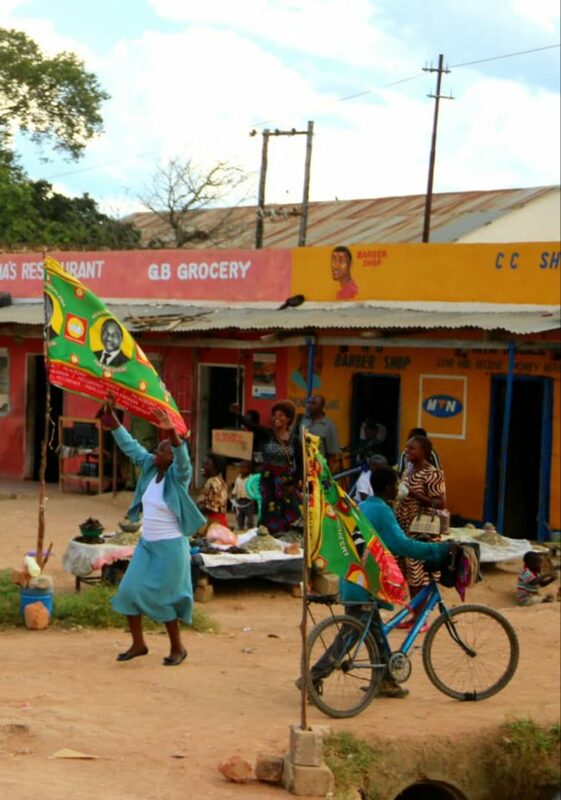 HH’s UPND cannot win in Bahati Luapula where this party has never won since 2006!! 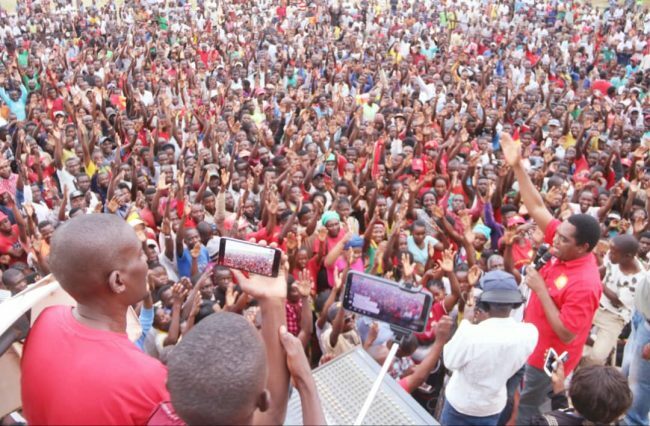 !Those people attend rallies for all political parties since these days campaigns are source of entertainment.HH camped in Sesheke last month but he has only gone to Bahati today which is few days before people vote there because he knows too well that UPND cannot win in Luapula.Like Munene has stated above,even ECL attracted huge crowds in Sesheke despite the fact that UPND is too strong in Sesheke!! !THERE CAN ONLY BE ONE WINNER IN BAHATI NEXT WEEK AND ROAN AND THAT ONE WINNER IS 100% PF!!!! Hope it will not be the usual rigging lame excuse come Friday next week. Crowds mean nothing. 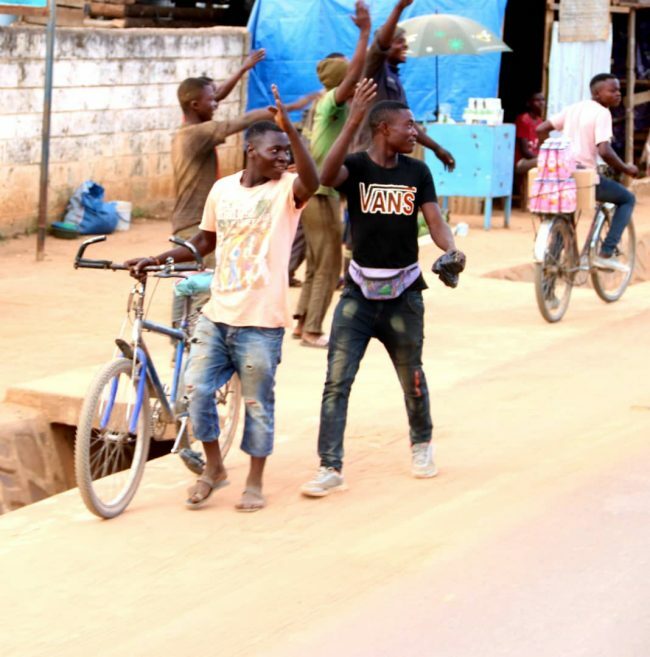 Lungu had huge rallies in Sesheke…but what happened…???? Take it easy…! All the best all candidates.